You may be expecting multiples, but that doesn’t mean you need multiples of all items on your registry. 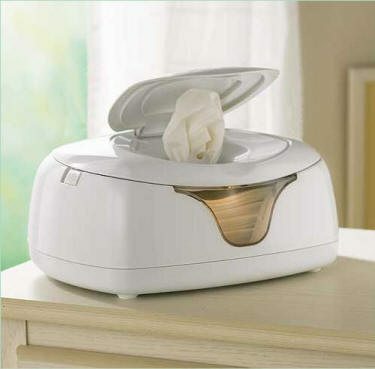 There are some things you will want multiples of, but you won’t need (or want) everything on the registry duplicated. Consider if an item can be shared and, if so, register for just one. Also consider whether you have space for multiples of large items such as swings and bouncers. In fact, I don’t recommend having identical large items such as swings and bouncers. Sometimes siblings have different preferences (e.g. one is irritated by the swing that soothes a sibling) and if they do enjoy the same item they can benefit from having variety in the day. Car seat covers and other car seat add-ons can be cute and seem handy, but they generally void car seat warranties in the event of a crash, as crash tests were not completed with these accessories. Any accessories that add padding between your baby and their seat or harness compromises the safety of the car seat and should be avoided. Unless you have a very specific brand you intend to use exclusively, it’s probably not worth registering for consumable hygiene items like shampoo and lotion. Gift givers tend to add these types of items onto other gifts. Don’t fret if you receive non-preferred brands. Remember, your friends and family members will likely share their favorite items. You may discover a wonderful product you wouldn’t otherwise try. If you receive items you cannot use for some reason, don’t fret. 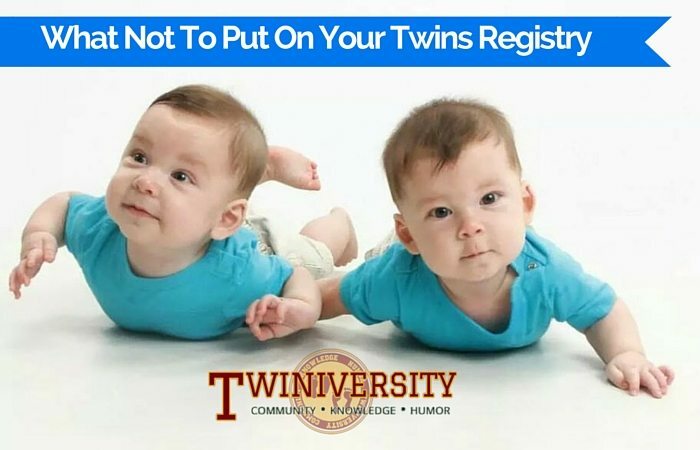 Typically if you have a baby registry you can exchange or return unwanted items. Most people love buying baby clothes, but aren’t concerned about your registry or style when they spy adorable frocks dangling from the racks. Similar to consumable hygiene items, you’ll probably receive plenty of baby clothes as gifts whether or not you register for them. New gadgets constantly flood the baby market, and many aren’t practical or necessary and can even be a waste of time or space. Unless a friend has vetted a trendy baby gadget herself, it’s probably best to avoid it. Who has space and time for extra clutter?!?! Certainly not a mom of multiples! Due to the risk of SIDS, it’s not recommended to use comforters, crib bumpers, and pillows with infants. These items also tend to be expensive and sometimes controversial. If you choose to use comforters or similar items, you may want to purchase them yourself rather than adding them to a registry. When expecting the quads, I registered for many items that everyone else seemed to love and recommend. However, after the babies came home and received Early Intervention Services we owned several contraptions that made our occupational and physical therapists wince. They strongly discouraged the use of Bumbo chairs, walkers, and exersaucers due to the placement of the baby’s hips. Honestly, therapists aren’t really fans of any type of baby contraption, including bouncers, and instead recommend tummy time and parent/ baby interaction. 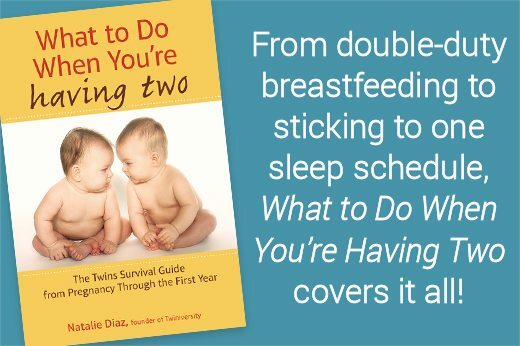 However, it’s also not realistic to hold your baby 24/7 and these types of items can really help a mama. If you are planning to register for and use items in this category, check with your pediatrician to choose wisely and monitor the baby’s time in them. 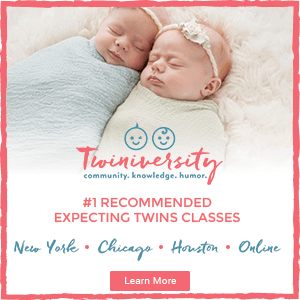 Baby Basics: What Will You Need For Twins? 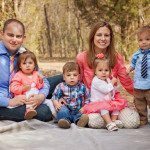 Amber Shawver and her husband, George, are the proud parents of girl-boy-girl-boy quadruplets who debuted in 2012. 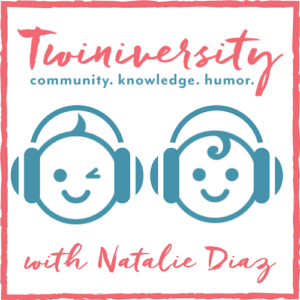 Amber draws from her experiences working in childcare settings and as a school based behavioral consultant to manage raising quadruplets at home. Amber continues to practice school psychology part-time in an urban school district. She chronicles life raising quadruplets at www.fourtoadore.com You can also find her on Facebook, Pinterest, and Twitter. For more articles on Twiniversity by Amber, click here.